The wait is over. Maybe. As things stand (and we are far from a strong and stable footing right now) the Ministry of Housing, Communities & Local Government is expected to publish the finance settlement tomorrow – exactly one week after it was originally due. Of course, the plan, or “ambition” as one source close to the issue described it to me earlier, to do just that could once again be thrown out of the window depending on the outcome of the vote of confidence (or not) in Theresa May’s leadership this evening. Amid the frustration and anger at the finance settlement’s delayed publication, it is worth remembering what, exactly, we are waiting for from it – it is, after all, the fourth and final instalment of a multi-year deal with the sector so most finance directors are not staring at completely blank budget spreadsheets. Rewind to October and local government was celebrating the announcement there was to be an extra £650m made available for social care services. Chancellor Philip Hammond’s Budget provided an extra £240m specifically for adult social care in 2019-20 with some flexibility to use some (or all) of the remaining £410m for children’s social care if councils so wished. Allocations for a separate £240m for social care in 2018-19 were announced in October. The sector will be expecting allocations to individual local authorities for 2019-20 to follow along similar lines. The successful bids from areas to pilot business rates retention are expected to be announced alongside the settlement. LGC previously reported how those bidding in this round are set to only qualify to retain 75% business rates, as opposed to 100% in the previous pilots. Crucially, the ‘no detriment’ clause, which ensured any area involved in previous pilots would not be worse off than if they had not taken part, is to be withdrawn. It will also be interesting to see if devolution deal areas will continue to qualify for 100% business rates retention as the ministry had mooted discussions would take place in relation to that. Talking of business rates, the ministry said in the summer that it would forgo some of its share of business rates in order to cover the costs of negative revenue support grant. This issue was expected to cost 168 councils a combined £153m in 2019-20. However, the ministry has announced it will cover this cost. 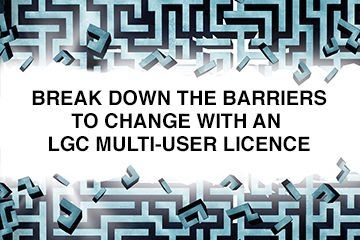 LGC analysis showed Conservative-led councils will be the main beneficiaries of this move, which has proved controversial. In its technical consultation the ministry mooted plans to again increase the growth threshold councils must meet to receive new homes bonus payments – it was raised in 2017-18 so that areas which currently fail to exceed 0.4% growth on top of their housing targets do not receive any financial reward for the new homes built in their areas. At the time of the consultation’s publication, Richard Watts (Lab), chair of the Local Government Association’s resources board, said raising the threshold once again “would risk putting the brakes on housebuilding schemes and growth-boosting projects at a time when our housing shortage is one of the biggest challenges facing the nation” He added it would also “further exacerbate the financial challenges facing some councils”. The District Councils’ Network has also since railed against the proposal which it called a “perverse incentive” as it would penalise councils which have been successful in building a greater number of homes. The DCN said more than £70m in funding had already been removed from its members’ budgets due to the current threshold and added this would only be exacerbated by a further increase to the growth baseline. Meanwhile, the ministry is expected to confirm local authorities can once again increase core council tax by up to 3% in 2019-20. Anything above that will require a referendum. Top-tier councils will also retain the ability to raise a social care precept provided the total does not exceed 6% between 2017-18 and 2019-20. Once again, no referendum thresholds are set be applied to mayoral combined authorities or parish councils next year. However, keep an eye out for proposals which could see precepts for police forces rise. Sky News reported two weeks ago that home secretary Sajid Javid had “cut a deal” with Mr Hammond and housing and communities secretary James Brokenshire so the police precept on council tax bills can rise from £1 a month to £2 a month from April 2019. A further paper on the fair funding review is expected to be published alongside the settlement. While local government minister Rishi Sunak told LGC last month this would “narrow down the options” he warned it would not be until “late spring” 2019 – around the likely time of the spending review’s publication – that councils can expect to get an indication of what funding they may actually receive as a result of the revised formula.